Moustache® Thermal Laminating Pouch, 50/Pack,3 MIL, 9" x 14-1/2"
8GB Digital Audio Voice Recorder Best Voice Mini Clip USB Spy pen Mp3 Dictaphon. You'll Protect You And Your Family From Being Victims Of Fraud With Its Help. Can Shred Paper, Standard Staples, As Well As Credit Cards. Shred Type: Cross Cut. Shred Size: 0.16" X 1.6". A Large Basket Capacity Of 3.96 Gallons. 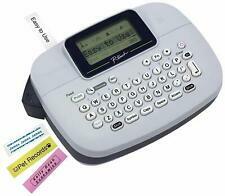 ALPHASMART NEO 2 PORTABLE WORD PROCESSOR WITH USB CABLE/3(AAA)BATTERY INCLUDED. Package ： Type: standard laminated Length: 8m(26.2ft) Width: 12mm(1/2") Condition: 100% New and 100% Compatible Quantity: 4 pcs * Black Print on White(TZe-231) Compatible for : GL-100 GL-H100 PT-1000 PT-1000BM PT-1010 PT-1010B PT-1010NB PT-1010R PT-1010RDT PT-1010S PT-1090 PT-1090BK PT-1100 PT-1100QL PT1100SB PT-1100SBVP PT-1100ST PT-1120 PT-1130 PT-1160 PT-1170 PT-1170S PT-1180 PT-1180SC PT-1180SP PT-1190 PT-11Q PT-1200 PT-1230PC PT-1280 PT-1280BT PT-1280SP PT-1280SR PT-1280TG PT-1280VP PT-128AF PT-1290 PT-1290BT PT-1290BT2 PT-1290RS PT-1290SBVP PT-1300 PT-1400 PT-1500 PT-1500PC PT-1600 PT-1700 PT-1750 PT-1750SC PT-1800 PT-1810 PT-1830 PT-1830C PT-1830SC PT-1830VP PT-1880 PT-1880C PT-1880SC PT-1880W PT-1890C P.
We are a manufacturer of compatible tape cassette for the label printer consumable market. We will reply you as soon as possible. Width: 12mm. Good for use Label fixed assets, including computers, keyboards, chairs, tables and air-conditions. 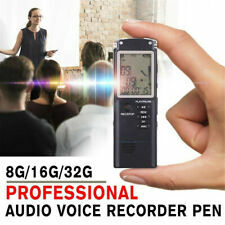 Smallest VOR Voice Recorder 16gb Black. When the VOR function is turned on, it only records as long as there is sound and is on stand by until there is sound to record again to save power. Spy Voice Recorder. P-touch Standard Adhesive Tze Label Tape. 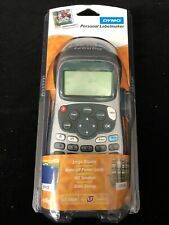 Compatible for Brother P-touch Labelers. 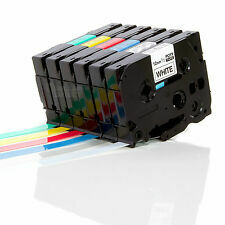 We are a manufacturer of compatible tape cassette for the label printer consumable market. Do not pull the label paper and touch the label machine until the label ribbon is complete without printing. 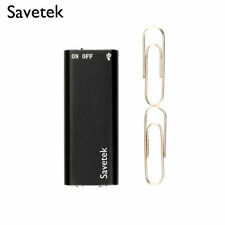 1x USB Audio Recorder. 4GB = 80 hours of recording. To record audio, simply slide the switch across and the light will then flash and then will go out after 3 seconds, it is now recording but only you will know this. Compatible Brother Ptouch label printers Brother P-touch PT-45M PT-55 PT-55BM PT-55S Label Makers. Brother P-touch PT-65 PT-65SB PT-65SCCP PT-65SL PT-65VP Label Makers. Brother P-touch PT-70 PT-70BBVP PT-70BM PT-70BMH PT-70HK PT-70HOL PT-70HOT PT-70SP PT-70SR PT-70DIY Label Makers. ▲ "AZe" is equtivalent to "TZe". Washing with the 10mpa high pressure car washer, the car is spotlessly clean. Unistar Laminated tape still stick to the glass, warning word had no changes. Test showed that Unistar compatible P-touch laminated label tape can withstand temperatures from frozen. 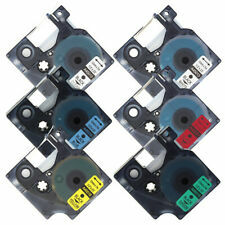 6-pack Replace DYMO LetraTag Refills Label Tape 16952 91331 91332 91333 91334 91335 Color: Black on Clear, white, yellow, red, green, blue / Size: 12 mm x 4 m / Material: Thermal plastic. Perfectly Compatible with DYMO LetraTag Label Makers: Plus LT-100H, LT-100H, LT-100T, LT-110T, QX 50, XR, XM, 2000. Features: The equivalent DYMO LetraTag plastic tapes are easy to install and use. Smooth surface is great to print clear. 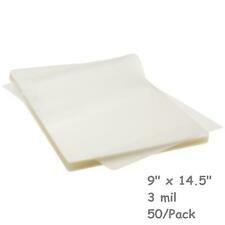 Durable, split back for easy peeling, wipeable, tear-resistant. No sticky residue remains when the labels are removed. Its polyester material makes it much stronger than similar labels. Certified to Quality Certification - ISO 9001/SGS; Environmental Certification - ISO 14001/ RoHS; Security Certification - MSDS. 24-month replacement or money back for quality-related issu. MPNTZE231 TZE431 TZE 531 TZE631 TZE731. Unique properties make these tze tapes can withstand harsh temperatures from -80°C to 150°C. Turn the gear in the direction (counterclockwise) to tighten the ribbon to avoid breakage or jamming. Length: 8m(26.2ft). 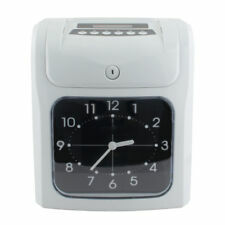 PT-D200G, P-touch CUBE, Blue, P-touch CUBE, White, P-touch Embellish. Width: 12mm(1/2"). Ite m Type: Premium Compatible Label Tape (Not OEM). Tape Width1/2 in. TypeLabel Tape. and then, put the tape cassettes into the machines. The MP3 function allows you to listen to your wonderful music anywhere you want. Music format: MP3, WMA, FLAC, APE, OGG. Integrated voice recorder, MP3, walkman as a whole. This recorder has a high- fidelity built-in speaker, voice can. Compatible for Brother P-touch Labelers. 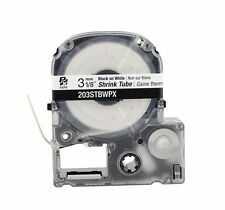 We are a manufacturer of compatible tape cassette for the label printer consumable market. Easy to install, easy to use, peel and stick, easy to ready. 12 mm Width x 8 m Length. 1 x Printer Toner Refill (80g). Capacity: 80g. Applies to the printer Samsung: 4521/4720/4200/4300/3470/116L/560/565/105/104/101/111/108/109/209/205. Samsung: SCX-4321/4521F/4521FH/4521D3/4200/4720/4300/SCX-3401/ ML2161 /2165/ 3405/ 3400/ 2160/M2070/2071/ M2021/ M2022/ M2020/SF-560/ 565P /SCX4216F/ 4100/ML1666 /1661/ 1660/ 1670/ 1676/ 1860/SCX-3200/ 3201/ 3204/3205/M2876HN/ M2626D/ M2675F/ SL-M2676N/ML-1641/ 1640/ 2241/ 2240/SCX 4600/ 4601/ 4623F/ 4623FN/ SF650/ML1910/ 1911/ 2525/ML3310/ 3710 /SCX-4833HD/ 5637HR/ scx-4824HN/ 4828HN/ 4828FN/2855/ ML-1610/2010/2570/ML-1610D3/ ML-2010D3. Compatible with Brother P-touch label maker Test showed that Unistar compatible P-touch laminated label tape can withstand temperatures from frozen. Washing with the 10mpa high pressure car washer, the car is spotlessly clean. Package ： Type: standard laminated Length: 8m(26.2ft) Width: 12mm(1/2") Condition: 100% New and 100% Compatible Quantity: 5 pcs * Black Print on White(TZe-231) Compatible for : GL-100 GL-H100 PT-1000 PT-1000BM PT-1010 PT-1010B PT-1010NB PT-1010R PT-1010RDT PT-1010S PT-1090 PT-1090BK PT-1100 PT-1100QL PT1100SB PT-1100SBVP PT-1100ST PT-1120 PT-1130 PT-1160 PT-1170 PT-1170S PT-1180 PT-1180SC PT-1180SP PT-1190 PT-11Q PT-1200 PT-1230PC PT-1280 PT-1280BT PT-1280SP PT-1280SR PT-1280TG PT-1280VP PT-128AF PT-1290 PT-1290BT PT-1290BT2 PT-1290RS PT-1290SBVP PT-1300 PT-1400 PT-1500 PT-1500PC PT-1600 PT-1700 PT-1750 PT-1750SC PT-1800 PT-1810 PT-1830 PT-1830C PT-1830SC PT-1830VP PT-1880 PT-1880C PT-1880SC PT-1880W PT-1890C P.
Translate your speech into high quality foreign language text and transmit into voice output. Multiple Languages Translation: Support up to more than 30 languages translation, each language can be translated to each other.